Lots of things have happened since my last blog. We have finished calving with our AI bull and ended up with 10 bull calves and 14 heifer calves. We would have preferred it the other way around but we are just pleased they are all healthy and growing well. Lots of things have happened since my last blog. We have finished calving with our AI bull and ended up with 10 bull calves and 14 heifer calves. We would have preferred it the other way around but we are just pleased they are all healthy and growing well. 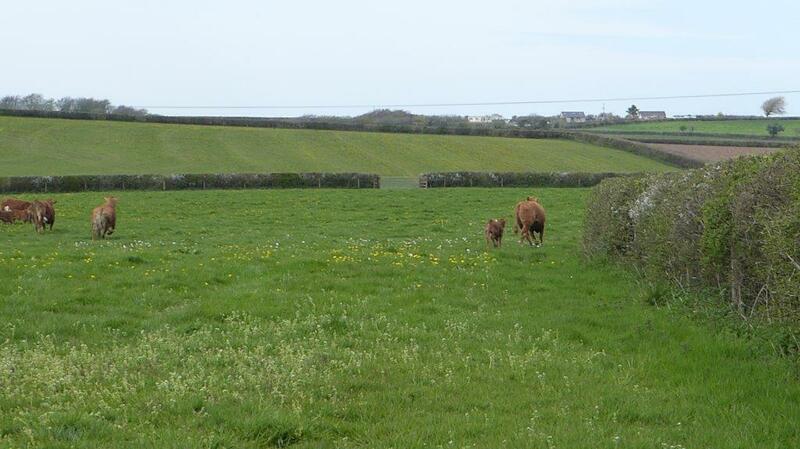 They are doing so well, we have been asked by Mole Valley Farmers in Holsworthy if they can use some photographs they took during their recent visit to us on their promotional material for the beef industry! 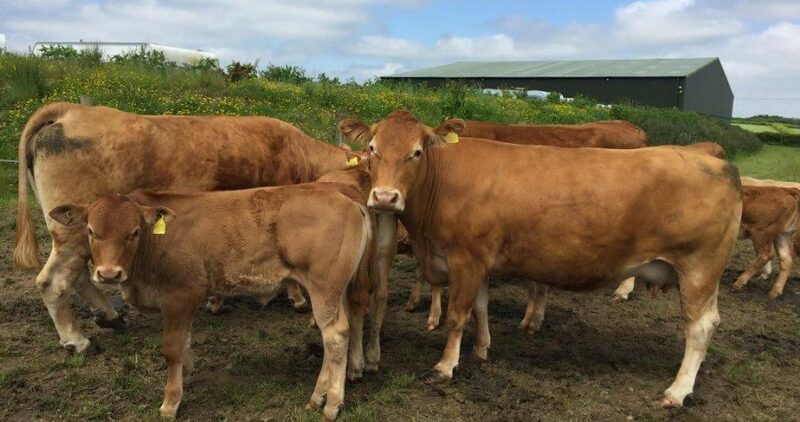 The new AI bull we used has certainly produced some well-shaped calves, this was a new venture for us (previously we kept our own bull) but has been very worthwhile! 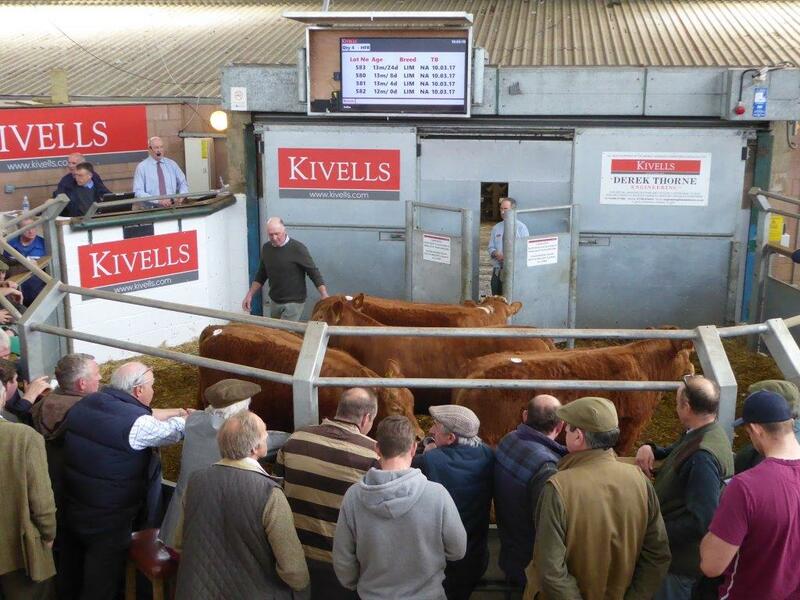 Many of you, who follow us on our Headon Farm Facebook page will know that we did rather well at Exeter Market when we sold our 2016 yearlings. We got awards for the top pen of heifers, second best pen of heifer and second best pen of steers. This market has nearly 800 cattle going through it and in that area there are lots of very good beef farmers, so we were chuffed! The cattle are all out in the field now and they love being let out of their winter quarters and so do we as it cuts down the daily feed round, bed up routine. 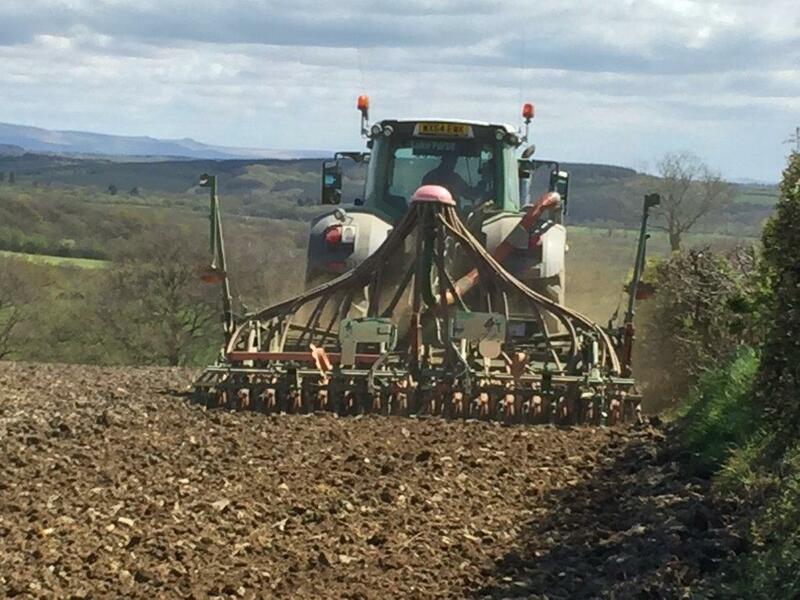 This of course makes way for other jobs, one of which was the planting of the spring barley (our second year of doing this), for the winter feed. Last year arable crops in this area were down on yield, but the barley we produced was fed to our yearlings that sold in Exeter Market. It did a very good job as the cattle reached optimum weights a month earlier than the previous year when we were using a different feeding regime. To plan the spring barley first of all the field has to be sprayed to kill the weeds, then the winter dung is spread on the fields, it is then ploughed, harrowed, the seed is drilled and rolled in. All of these jobs are weather dependent but we have been blessed with a fine Spring which allowed these jobs to be done at optimum times. Let’s hope the rest of the growing year is kind and we have an improved yield this year. 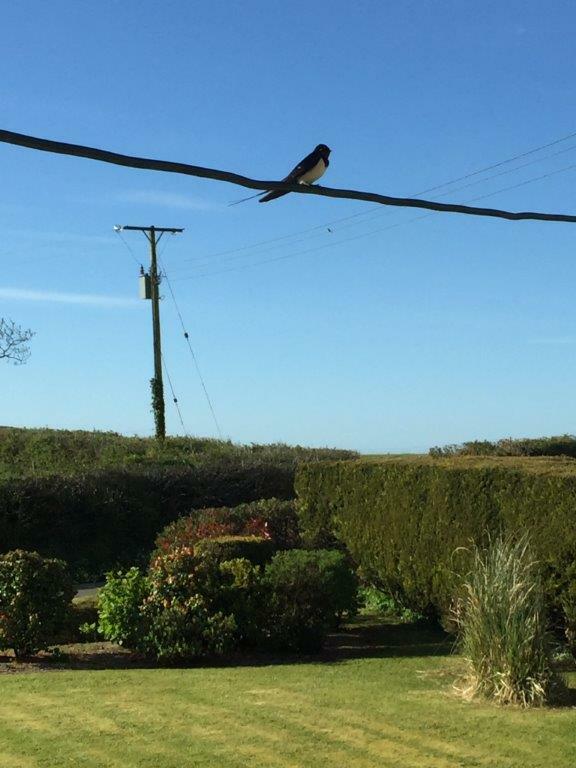 We have had the swallows and house martins arrive, a week later than last year. Sadly, so far and for the second year, we haven’t heard the cuckoo. We usually hear the singing coming from the wood down the hill. Richard’s Gran used to recite a verse to us about the cuckoo when she was alive and I like to include it each Spring time and remember her. 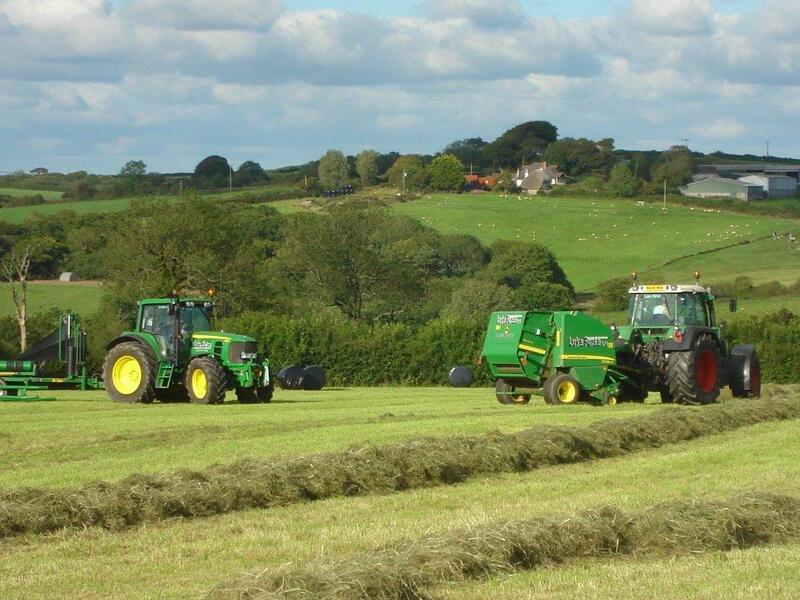 We have also just completed our firs cut of silage, the bales have been wrapped and are being brought in as I write. For those who don’t know, silage is the preserved grass that our cattle eat in the winter when they are in the housing sheds. It is important to make dry, good quality silage as this improves the feed quality for our cows. We round bale and wrap our silage as we find this easiest to manage when feeding the cattle. You can see the bale wrapper in the picture working in one of our fields.